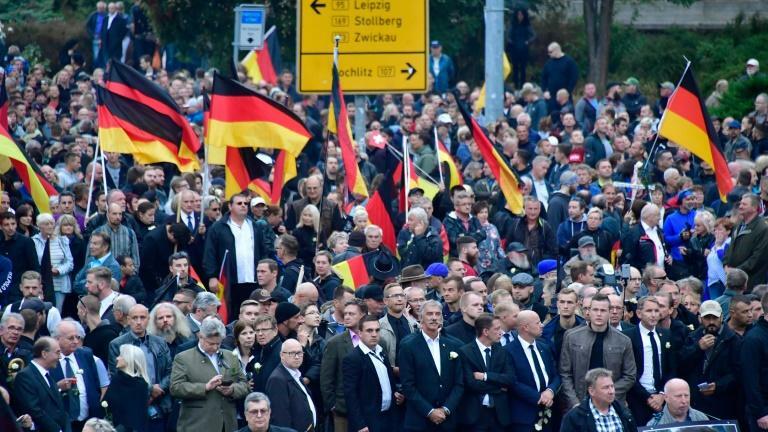 Eighteen people were injured as the anti-migrant far-right and counter-protesters held opposing rallies in the German city of Chemnitz, which was hit by xenophobic demonstrations last week. 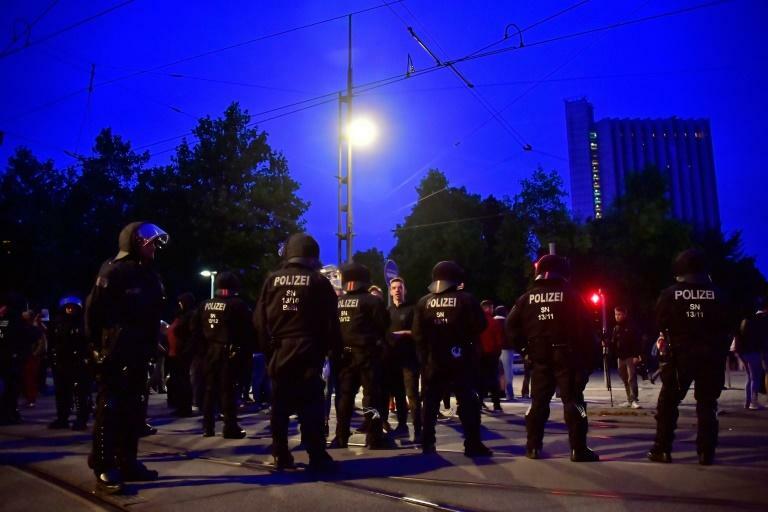 Chemnitz has been in the spotlight after violent protests erupted over the fatal stabbing of a German man, allegedly by a Syrian and an Iraqi last Sunday. 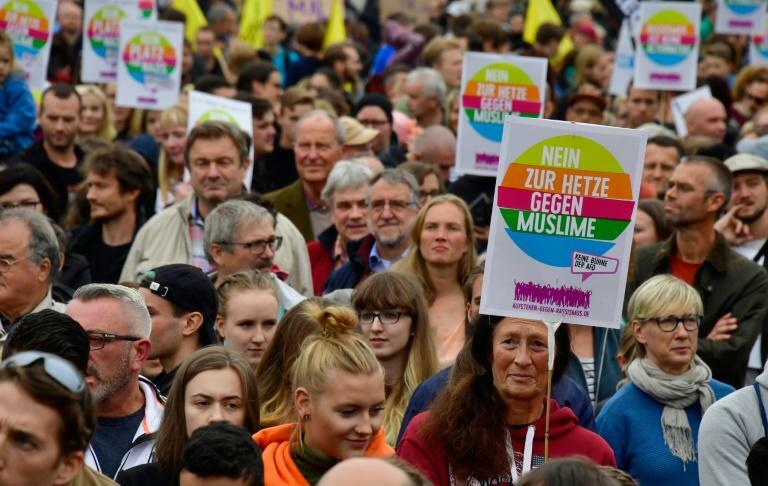 On Saturday, thousands of people answered a joint call by far-right party AfD and Islamophobic PEGIDA street movement to descend once again on the streets of the former communist city which was in the erstwhile East Germany. But an equally large contingent of counter protesters, including Green party and Social Democratic Party MPs, also converged to take a stand against racism. According to police estimates, more than 11,000 demonstrators turned up for the separate protests. Local police, backed up by officers from across Germany, were out in force to keep both sides from clashing. But as the rallies cleared, scuffles took place among small groups. SPD MP Soeren Bartol said on Twitter that his group from Marburg were "attacked by Nazis" while they were heading for the bus. "All SPD flags destroyed and some were also physically attacked," he wrote, adding that police had arrived swiftly to halt the assault. In all, 18 people were injured, including three police officers, said in a statement Sunday, doubling their earlier injury estimate. Police are also examining at least 37 possible offences, including bodily harm, property damage and resistance against law enforcement officers. Away from Chemnitz city centre, a 20-year-old Afghan man suffered light injuries after he was assaulted by four masked men. Police said they were investigating if the perpetrators counted among demonstrators. Two smaller demonstrations are planned for Sunday. One is titled "Chemnitz residents sending a democratic signal against violence and xenophobia" while the second is organised by the Protestant church. Another major event is expected on Monday, when German punk band Die Toten Hosen leads a free concert against racism. Foreign Minister Heiko Maas called on Germans to take a stand against xenophobia. "We have to get up from our sofas and open our mouths," he told Bild am Sonntag, stressing that "all of us have to show the world that we democrats are the majority and the racists are the minority." "The silent majority must get louder," he said. The tensions in Chemnitz have underlined the divisions in Germany over Chancellor Angela Merkel's decision three years ago to keep Germany's borders open to asylum seekers, many fleeing war in Syria and Iraq. Misgivings run particularly high in Saxony state, where Chemnitz is located, over the arrival of more than a million asylum seekers since 2015. The far-right AfD party has won strong support in the region through its campaign against migrant arrivals, and surveys suggest that it is poised to become Saxony's second biggest party in next year's regional elections.